 Simulated game shooting is getting hugely popular and where better to experience this than on Kellas Estate’s new shooting grounds. We have put a lot of time and money to offering our guests the most realistic way of shooting driven game without actually shooting game. The birds are exchanged for different sizes of clays, almost everything else is exactly the same as the real thing. One of the positive differences with a driven game day is that on simulated days you are probably trying to shoot more of your neighbours targets than the ones meant for yourself, and vice versa! It is an exceptional pleasant way to spent your day with friends or to make new friends. The drives are pegged out for four guns. This is ideal for a group of eight. However smaller groups and larger group sizes can be catered for. We can cater for a half day simulated game including or excluding lunch. We can also arrange for having an instructor at your side for advise. Our simulated days are popular as corporate events also. Whether it’s as a staff party or mixing business with pleasure allowing a half day shoot to be a break from the board room. Please get in touch to see how we can help make your business events go off with a bang! Please get in touch to discuss booking shooting or fishing days here at Kellas Estate.